Ed Gallucci The Crawdaddy Years and Beyond, on loan from Monmouth University Photography Collection will be displayed at Sumter County Cultural Commission April 1 – May 15, 2016. 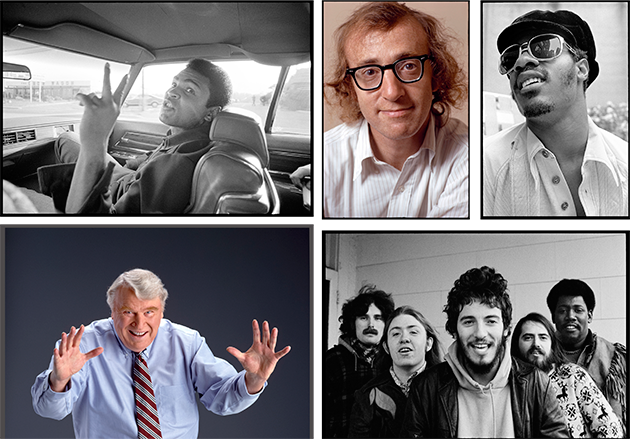 The show features some of Ed Gallucci’s life work and includes photographs of celebrities like Muhammad Ali, Bruce Springsteen, Rod Stewart, Jerry Garcia, Paul Simon, Al Green, Stevie Wonder, and many others. Sumter County Cultural Commission is located at 135 Haynsworth Street Sumter, SC 29150.